We have had a lovely lot of limes from our tree over the last couple of months and I have been trying to come up with different ways to use them. I adore the smell of limes. It always reminds me of a lime pudding that we used to have when I was a child. 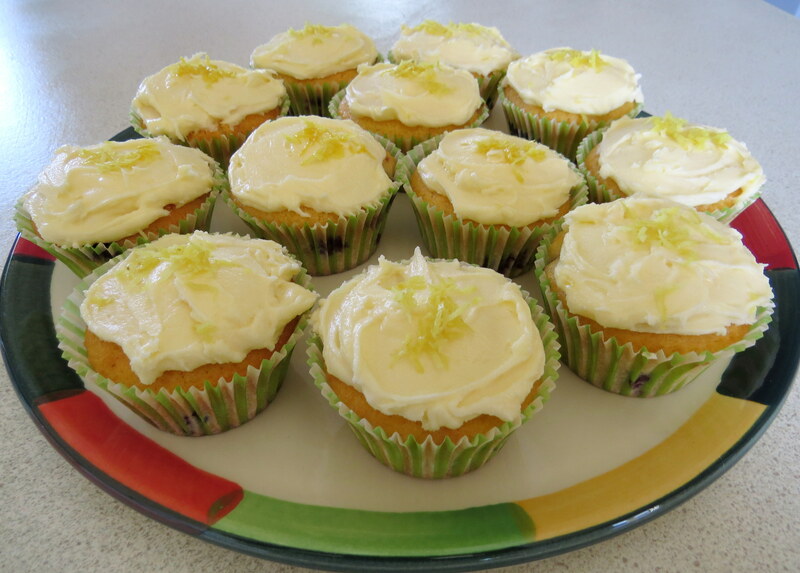 I made these lime and blueberry cupcakes as an indulgent treat to have with a cup of tea (or coffee). It is a quick and easy recipe to make. Preheat the oven to 180°C. Line muffin trays with paper cupcake cases. Cream the butter and sugar. Mix in the eggs one at a time. Add the sifted flour and baking powder and mix to combine. Stir in the grated lime zest and juice, followed by the blueberries. Divide the mixture between the paper cases. Bake for 25 minutes. Allow to cool, then ice with lime frosting. Sprinkle a little grated lime zest on top of each cake. Sift the icing sugar into a bowl. Add the other ingredients and mix to a spreadable consistency. Spread or pipe the frosting on top of the cooled cupcakes. This entry was posted in cupcakes, My Blog, Recipes and tagged baking, cupcakes, food, recipes. Bookmark the permalink. I’m not a big fan of lime flavor, but these sound pretty good! 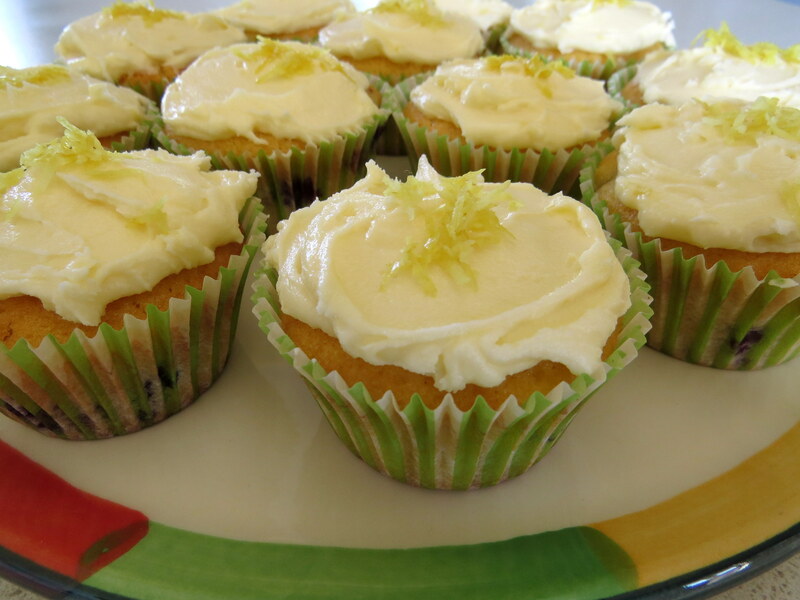 I think lime is one of those flavours that you either like or don’t, but the cupcakes might also be nice made with lemon instead of lime.